Azerbaijan, Baku, 1 August / Trend corr. E.Babayev/ "The Conception of state support to development of mass media in Azerbaijan laid a foundation of a new stage of media development in the country. The stage is intended to provide economic independence to media, to improve journalists' professionalism and to solve their social problems, Chairman of the Azerbaijani Press Council Aflatun Amashov said at a meeting of Press Council's administration on 1 August. On 31 July, Azerbaijani President Ilham Aliyev approved the Conception of state support to development of mass media in Azerbaijan. The document was developed by the Press Council, media representatives and employees of the Presidential Administration. President's one-time state assistance to 38 media bodies rendered on the basis of Press Council's appeal was praised at the meeting. Press Council administration members said priority of media independence in state documents, exclusion of discrimination in prizes proves the sensitive attitude of country's administration towards media. Press Council's administration decided to send on behalf of the Council a letter of gratitude to President Aliyev. Azerbaijan Press Council was established at the first journalistic convention on 15 March 2003. 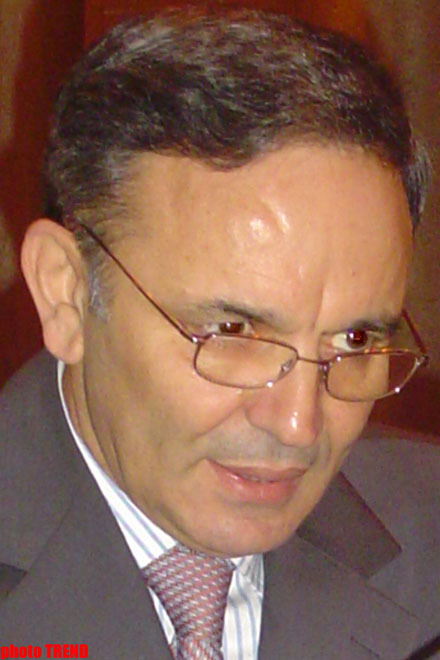 Aflatun Amashov has been chairing the Council since the establishment.